I'm having some anxiety about this, however after taking up years of precious storage space, I've decided to ditch my surplus van seats for my 2013 Econoline 350. Can anyone tell me how to identify the bench seat that would be directly behind the driver? It and the third row seat look similar, however I'm sure there is a specific order. I'm hoping to not remove my floor to find original bolt holes if possible. I just have a platform bed interior and I thought I might someday want the seats back in, but after three years it hasn't happened. Then, I thought maybe I should save at least the forward seat? What do others do with their seats? 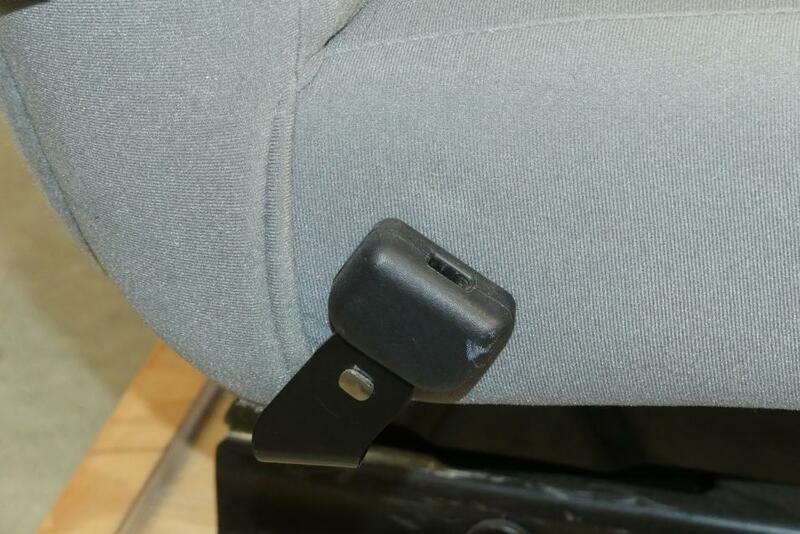 Row 2 has a small seatbelt receptacle attached to the hip point, far passenger side. Question - Are the seat belts still in the van or stored in your garage? If not installed, then be sure to save the set that has the matching insert into that receptacle. I'm having some anxiety about this, however after taking up years of precious storage space, I've decided to ditch my surplus van seats for my 2013 Econoline 350. . . . Went through the same with my 2012 passenger van bench seats. I got lucky a few years ago when I was looking to sell my 3rd and 4th row bench seats. I had started a thread here asking for tips and advice. Before I could post an ad here or on CL, I was contacted by someone local who saw the thread. He was associated with a youth group that had a few vans and wanted some newer, cleaner bench seats. Since it was a non-profit organization, I ended up donating them and got a receipt acknowledging the donation. I used ebay completed sales to document their value and got a nice tax deduction the next year. Last year when I completed a rear bucket seat project, I contacted the same group and donated the 2nd row bench. I gave all my bench seats away to a local guy with a landscape business who hauls his helpers around. I was glad to be rid of them. Thanks everybody for the help.